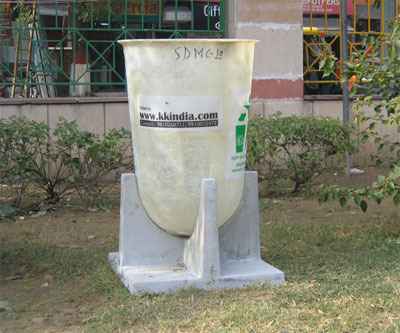 Our Innovative dustbin consists of a FRP (fiber reinforced plastic) bin supported on a RCC (reinforced cement concrete) base. 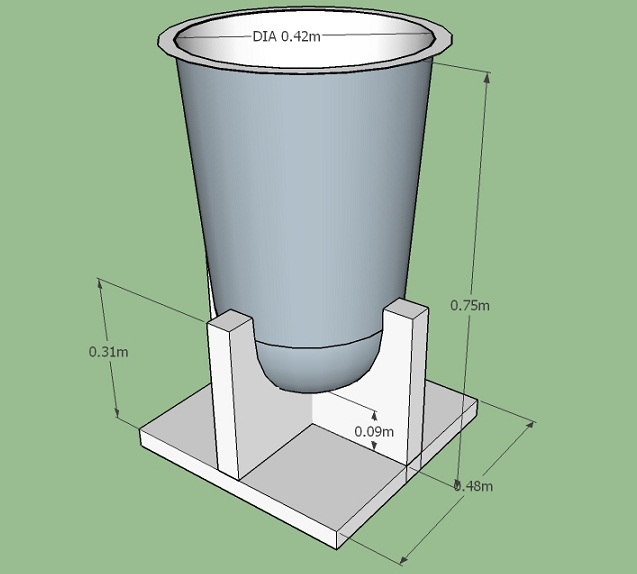 The FRP bin is roughly cylindrical in shape with a hemi-spherical bottom. 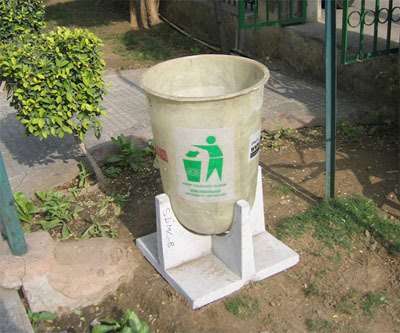 The shape of the bottom of the bin renders the bin non-self supporting, i.e., without the RCC base the FRP bin will tip over. 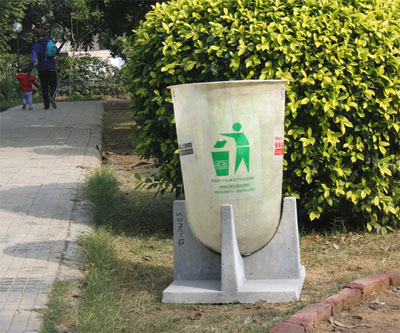 The RCC base is designed to hold the bin in a vertical position and to prevent it from flying away due to wind and other external forces. 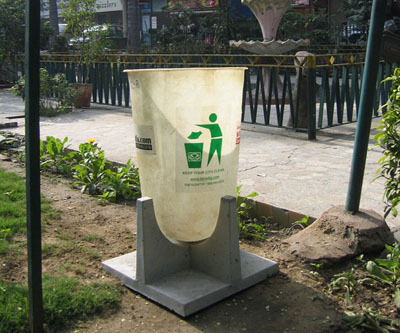 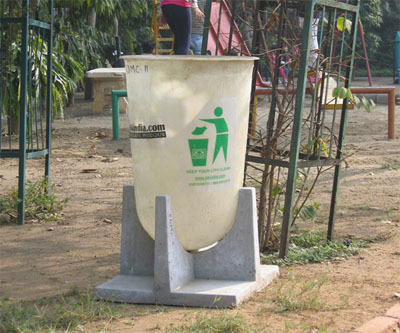 The overall design is such that the FRP bin can be easily detached and lifted off the RCC base for the purpose of emptying the garbage from the bin.